It's the sixty-first week of my Tuesday's Truths series. This week's truth is a reminder that time spent with anyone is fleeting and the post is dedicated to the late Donna De Solis (DD). Her birthday would be today, October 24th, had she not passed away in June of 2015. The little slide show atop this entry was produced a couple of years ago. 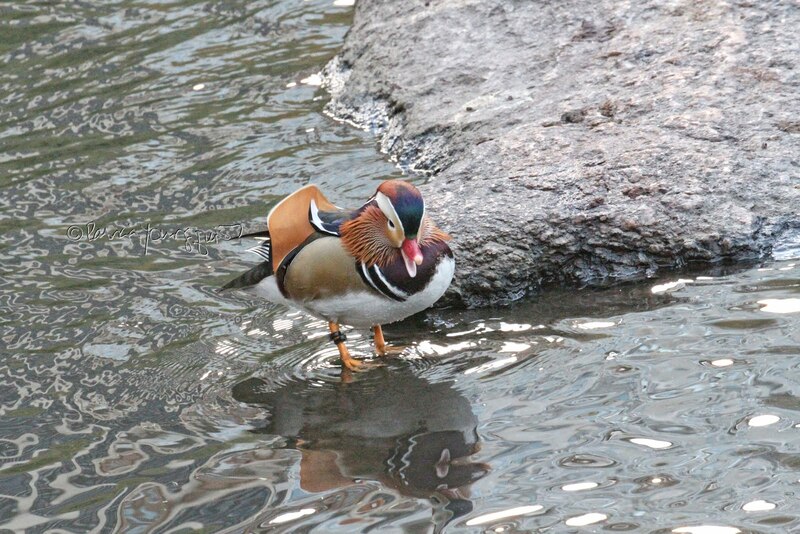 It features an array of birds who are spending time together. In the first slide you see Cam, my visiting female cardinal (who is a writer) with her son, Vincenzo. 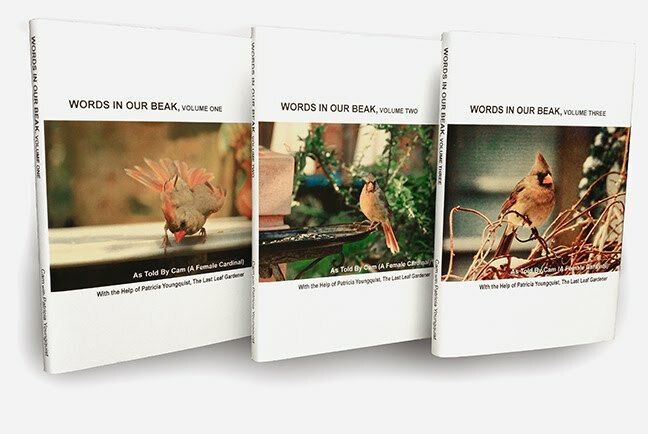 Each photograph in the presentation has been included in Cam's book, Words In Our Beak Volume One. In her story, Cam states that "though it’s true that we cardinals feed our young, sometimes I try to give my children a bit of tough love because I want them to have the confidence to be on their own. But I confess that I’m known to give into their begging tactics. While I want my children to be independent, occasionally I do give in when they beg, because time spent with a child is fleeting. I once overheard a conversation between two folks when people-ing, and it is this overheard line which expresses my beliefs: 'I gave into my toddler’s wishes, as I figured it wouldn’t be long before he’d be asking for the car keys . . . time flies,' a woman stated. And as one who flies, I couldn’t agree more. I value my time with Vincenzo, but I still force myself to push him to fend for his own seeds, even though I know that once he’s successful at his endeavor, as he seems to be here, he will leave Mac and I to pursue a life of his own." Cam is correct that time spent with a child is fleeting, but I'll go one step further and say time sent with anyone is fleeting! This mini-movie's background music features the song Christmas Auld Lang Syne, being sung by Bobby Darin. I heard the song and Darin's rendition on an annual basis when I attended DD's Christmas parties, including a Christmas party she held in December of 2014. For a Christmas auld lang syne." Little did I know that at Donna's Christmas party on December 20, 2014, when her guests and I sang the words, "We sing His praise this day of days, And pray next year this time, We'll all be near to share the cheer, Of a Christmas auld lang syne," that Donna would be dead the following June. Her passing is a reminder of Cam's views on the importance of spending time with one's children, and in my view, also on the importance of spending time with anyone near and dear to you.